In three phase power system, we wire and install the voltmeter to measure the AC voltage, in this post you will learn about the 3 phase voltmeter connection diagram for a digital voltmeter. I already published posts about the three phase volt meter wiring / installation. Also the volt meter selector switch wiring diagram / installation for 3 phase and also for three phase 4 wire system. In his post I am going to write about the three phase digital voltmeter wiring for single phase and 3 phase, but I only share the diagram about the 3 phase digital panel voltmeter, in which I use it for line to line voltage measurement. In a 3 phase analog voltage meter we have 2 terminals or contacts to provide the supply. We can connect our single phase (neutral and Phase) to these connects or connection point to measure the voltage between neutral and phase. But as you know that meter is design for three phase system (0 to 500 volts) so always use it for measurement voltage between line to line (phase to phase). So we connect two lines (i.e. L1 and L2) to analog voltage meter to measure the voltage between Line 1 to Line 2. 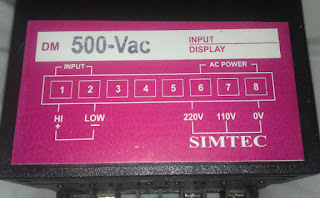 But in digital we have some different connection and we also required the neutral or we can said if we are going to install a digital voltmeter to measure voltage between line to line then we also required the neutral to operate digital volt meter. In digital voltmeter we have two types of input contacts, one for to operate digital V meter or to operate the display of meter. The 2nd input for voltage to measure. Here I had shown a diagram in which I wire the voltmeter for measuring voltage between L1 and L2. In above digital 3 phase voltmeter connection diagram. I shown the neutral and phase supply goes to 6 and 8 terminals for voltage meter which is for operating the display. As the L1 is connected to the 6 number terminal and this is also line than a wire connection will goes from this point to 2 number terminal. The 1 and 2 number points are for input AC supply to measure. So we connect the L1 to the 2 number and the L2 wire to 1 terminal. The above connection for digital voltage meter is for line to line voltage testing. However if you want to wire it for single phase (Neutral to Phase) voltage testing then provide also the single phase 220 supply to the 1 and 2 terminals. In the above image the voltmeter connection method shown. In which High and Low for input AC supply voltage testing. 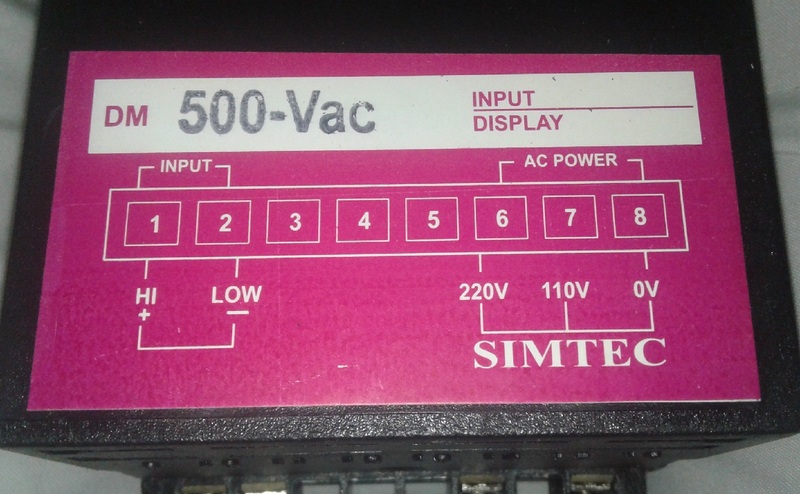 Note this meter can test voltage from 0 to 500v. In the above diagram AC power terminals are 6 , 7, 8 but in meter only 6 and 8 number contacts available which for 220 volts. However if the 110 V option available and your supply is 110v the connect you supply to 0v and 110v contacts. I hope this post help you to understand the 3 phase voltmeter connection diagram or how to wire / install a digital panel type voltage meter for single phase (220 v) or double line voltage testing (440v).